The Day 1 Academies Fund will launch and operate a network of high-quality, full-scholarship, Montessori-inspired pre-schools in low-income and underserved communities, he said. “We will build an organization to directly operate these schools,” he added. Despite the huge amount of money being given, it is far less than the philanthropy of other billionaires such as Microsoft’s Bill Gates, who has donated tens of billions to his foundation, and Facebook’s Mark Zuckerberg, who has pledged to donate 99% of his shares in the social media giant to an organization focused on public good. 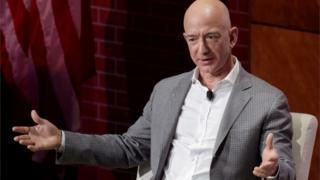 The $2bn also falls short of the “giving pledge” initiative launched by Mr Gates and billionaire investor Warren Buffett, who have encouraged wealthy individuals to pledge half their fortunes for philanthropy.